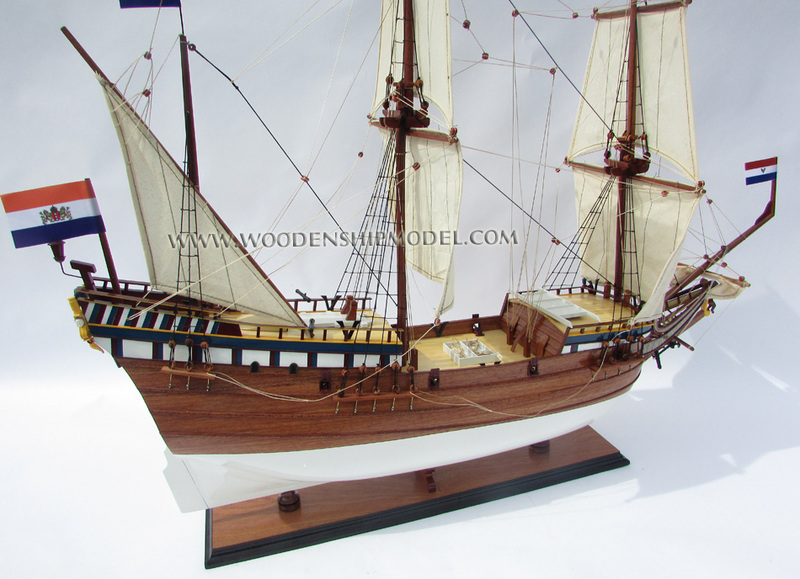 Our model is hand-crafted from hard wood with planks on frame construction and painted as the original color of the replica ship now. 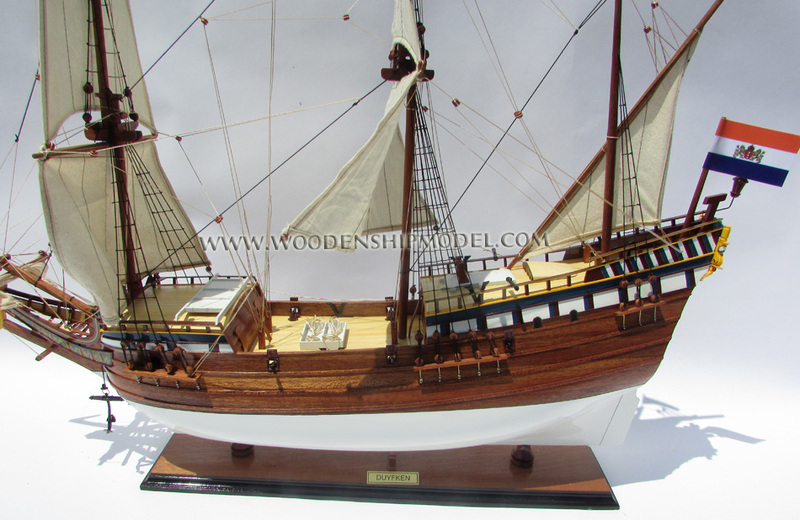 Model is fully assembled and ready for display. 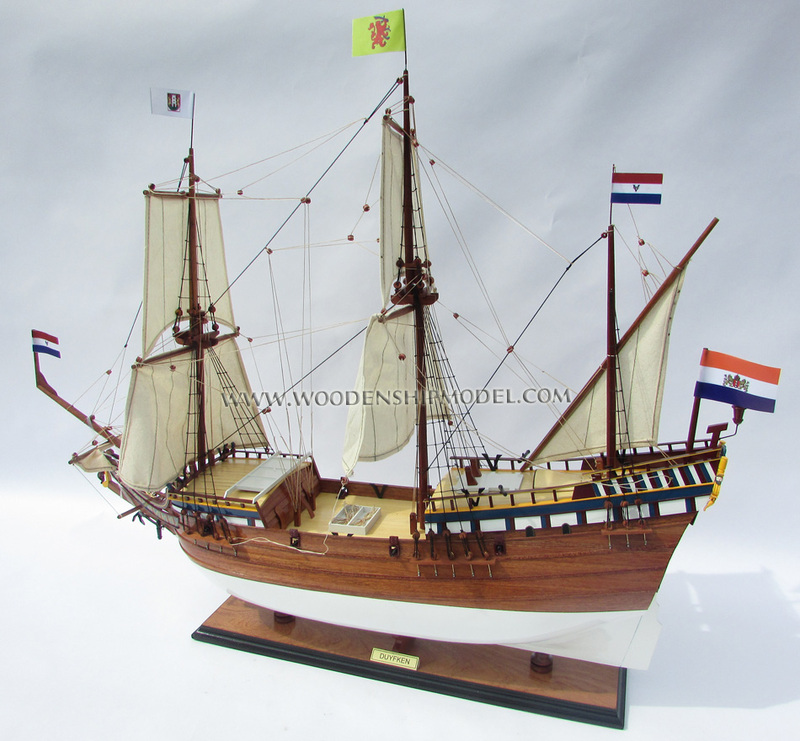 Duyfken (also Duifken or Duijfken) ("little dove" in English, "duifje" in modern Dutch) was a small Dutch ship built in the Netherlands. In 1596, Duyfken sailed from the Indonesian island of Banda in search of gold and trade opportunities on the fabled island of Nova Guinea. 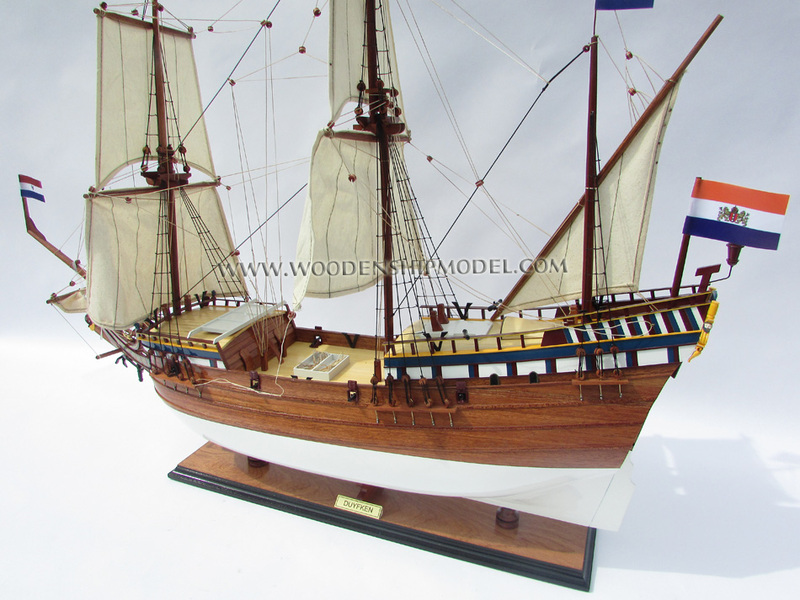 Under the command of Willem Janszoon, Duyfken and her crew ventured south-east. 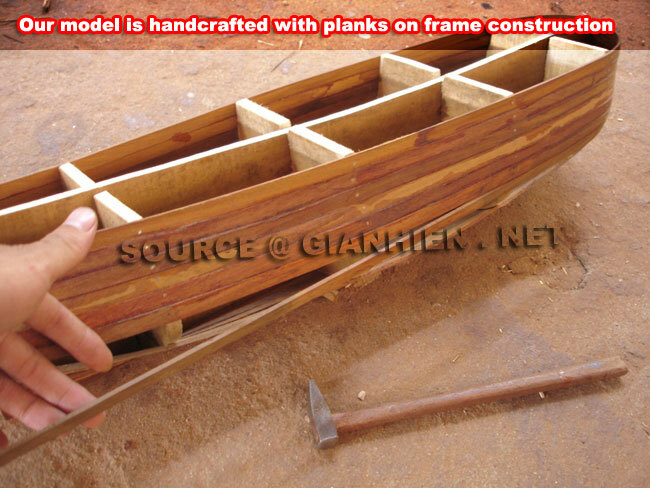 They sailed beyond Os Papuas (Papua New Guinea)and explored and chartered part of the coast of Nova Guinea. They did not find gold - but they did find the northern coast of a huge continent: Australia. Captain Janszoon was the first European to map and record Australia in history so Duyfken's voyage marks the beginning of Australia's recorded history. 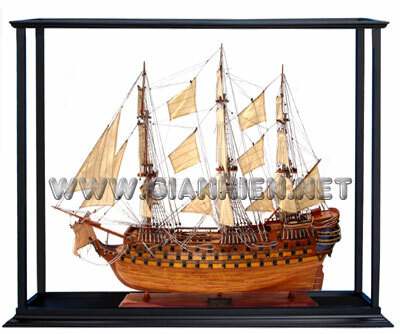 In 1596, Duyfken sailed in the first expedition to Bantam, the crew was captured by the islanders on Pulau Enggano. On 23 April 1601 Duyfken sailed from Texel as the jacht, or scout, under skipper Willem Cornelisz Schouten to the Spice Islands. 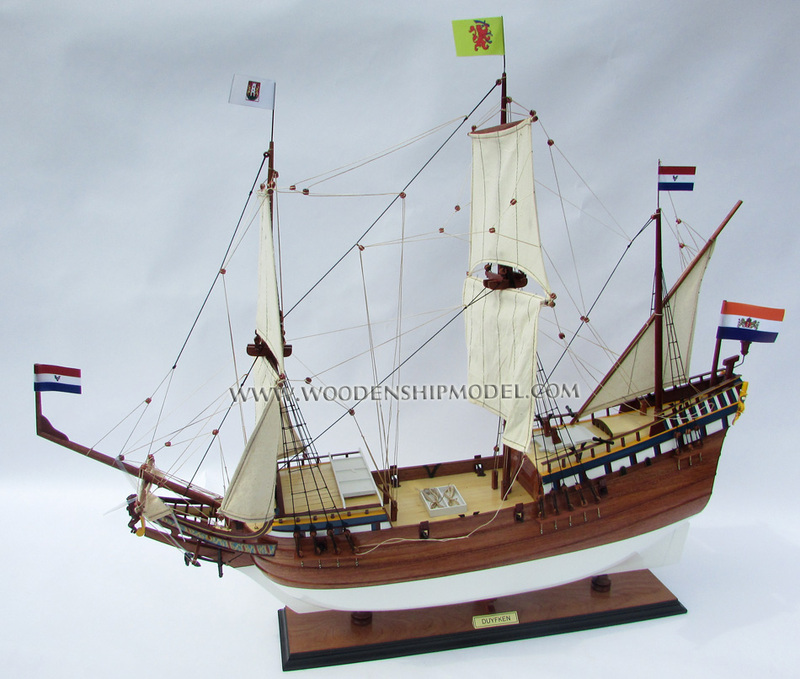 After reaching Bantam the "Moluccan Fleet" existing of five ships, including the Duyfken, under admiral Wolphert Harmensz, encountered a blockading fleet of Portuguese ships totaling eight galleons and twenty-two galleys. They engaged this fleet in intermittent battle, driving them away on New Years day 1602. Thus the undisputed dominance of the Iberians (Portuguese and Spanish) in the Spice trade to Europe was ended. The fleet received a warm welcome in Bantam, repairs were carried out to damage caused in the battle, and a survey of Jakarta Bay was undertaken, where the Dutch would later build Batavia, their capital in the Indies. 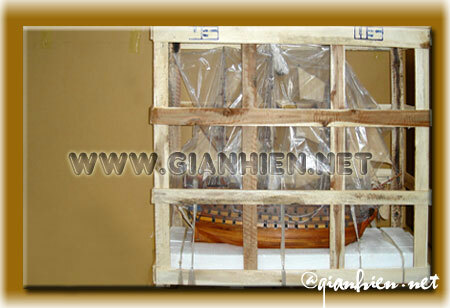 Then, sailing by way of Tuban, East Java to the Spice Island of Ternate, cloves were loaded on board and the ship returned to Banda for a cargo of nutmeg. 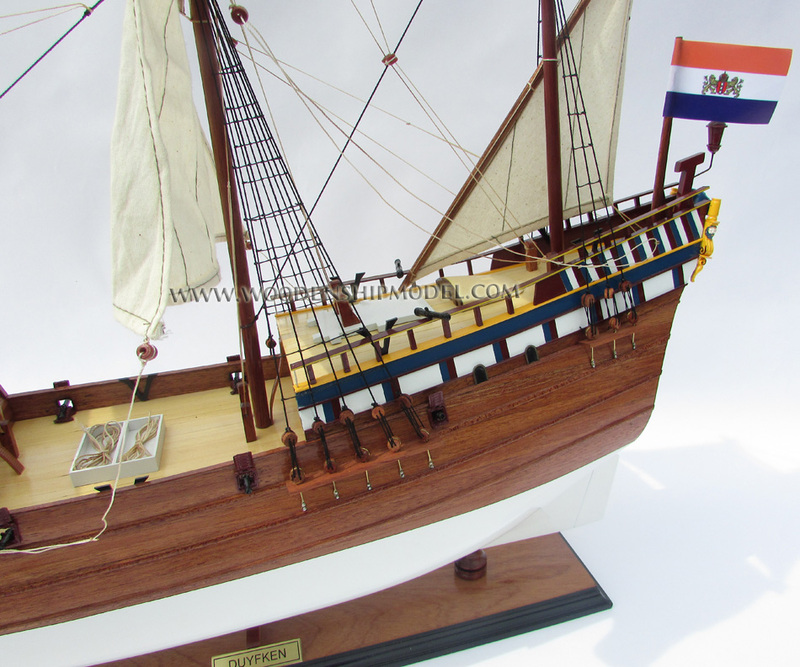 The Duyfken was then sent on a voyage of exploration to the east when the newly-formed United Dutch East India Company (VOC) was granted a monopoly on trade to the Spice Islands by the Dutch government. 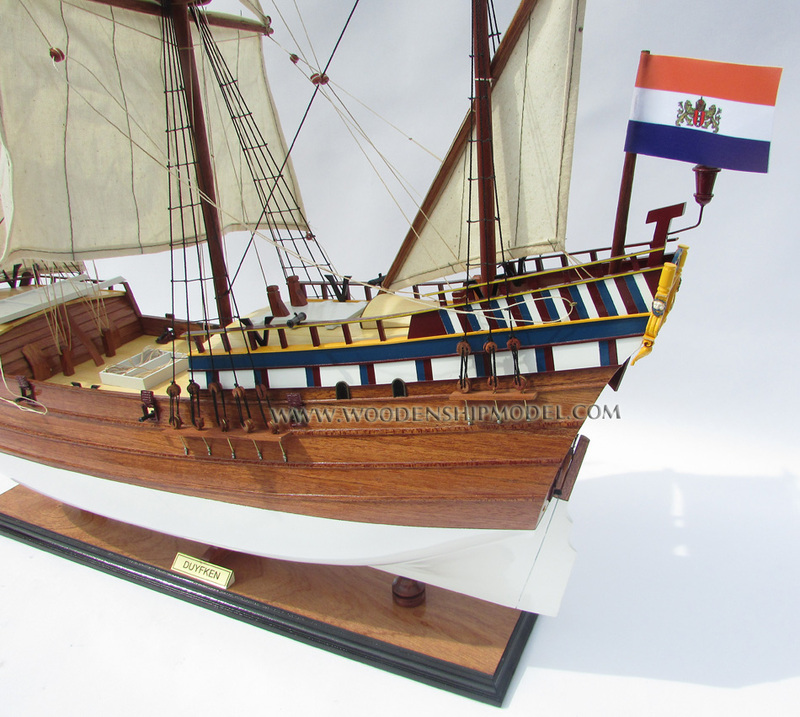 On the voyage home from the Indies the Duyfken was separated from the larger ships in a storm off Cape Agulhas, southern Africa and reached Flushing in April 1603, two months ahead of the larger ships. On 18 December 1603 the Duyfken, with Willem Janszoon as skipper, set out on a second voyage to the Indies in the VOC fleet of Steven van der Haghen. The VOC fleet captured a Portuguese ship in Mozambique Channel and sailed to the Spice Islands via Goa, Calicut, Pegu and finally reaching Bantam, Java on New Years Eve 1604. 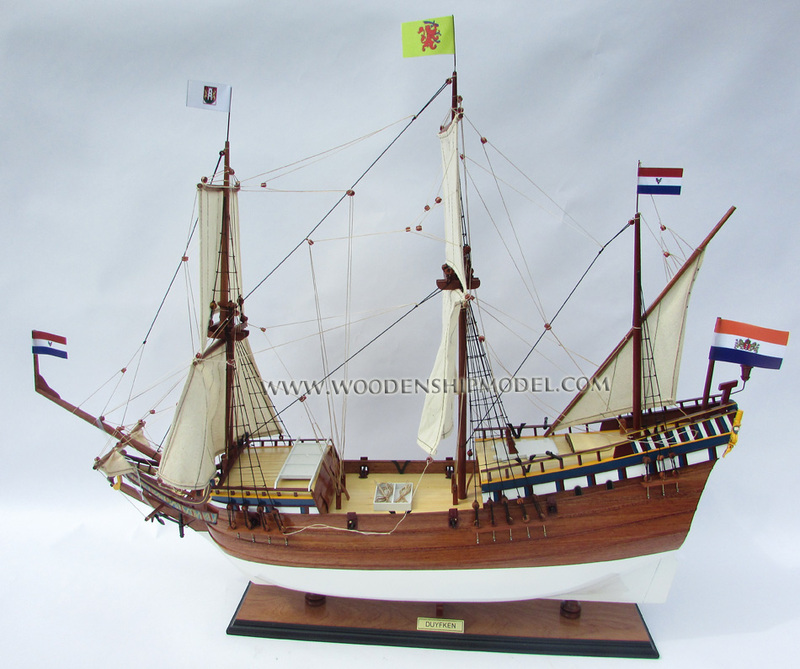 In 1605 the Duyfken was in the fleet that recaptured the fort of Van Verre at Ambon in the Spice Islands, from the Portuguese. She was then sent to Bantam, Java for urgently needed provisions. 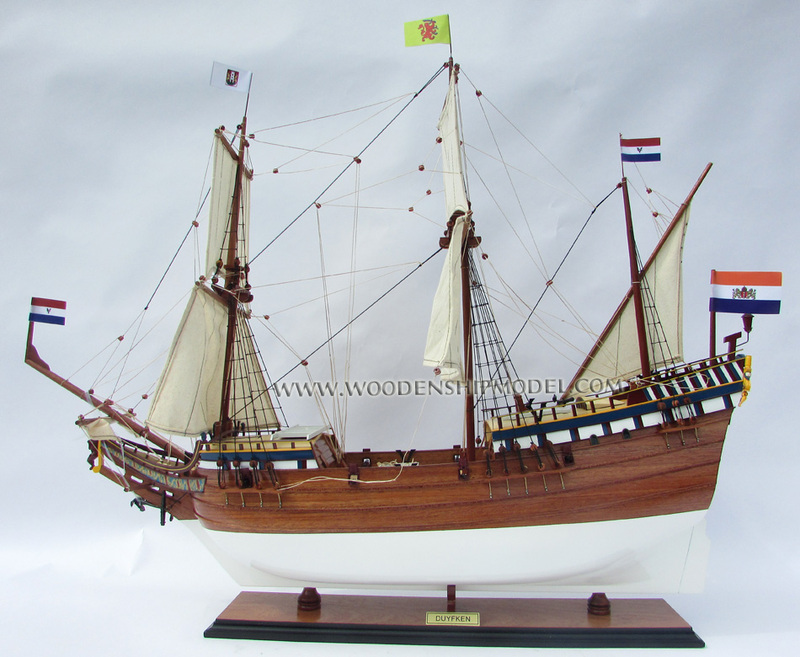 In 1605 the Dutch East India Company (VOC) sent the Duyfken, captained by Willem Janszoon, to search for trade opportunities in the "south and east lands" beyond the furthest reaches of their known world. Willem Janszoon took the ship southeast from Banda to the Kei Islands, then along the south coast of New Guinea, skirting south of the shallow waters around False Cape (Irian Jaya) and then continuing east-southeast. In early 1606 Janszoon encountered and then charted the shores of Australia's Cape York Peninsula. The ship made landfall at the Pennefather River in the Gulf of Carpentaria. This was the first authenticated landing on Australian soil and for the first time all the inhabited continents of the world were known to the European science of geography. Janszoon is thus credited with the first authenticated European discovery of Australia. The ship sailed back to Bantam. 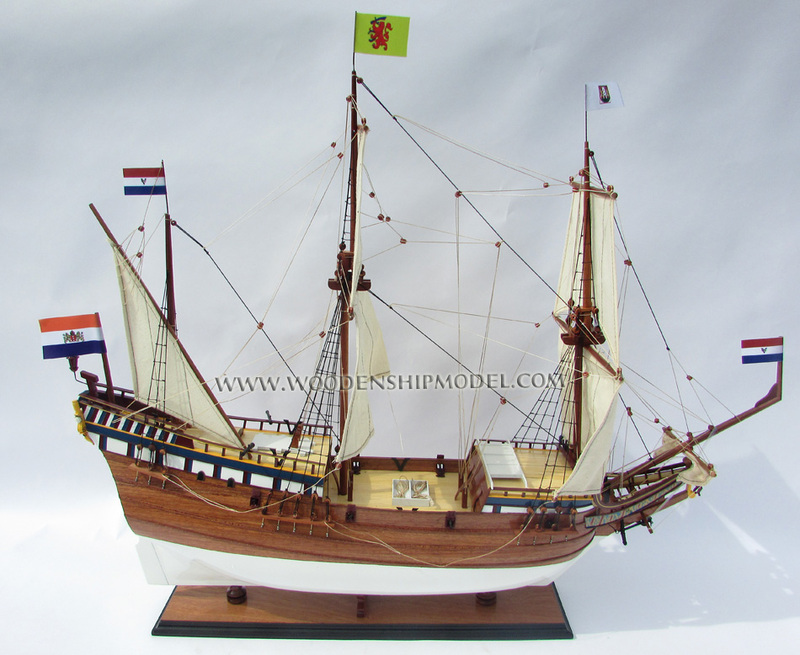 In 1607 the Duyfken may have made a second voyage east to Australia. 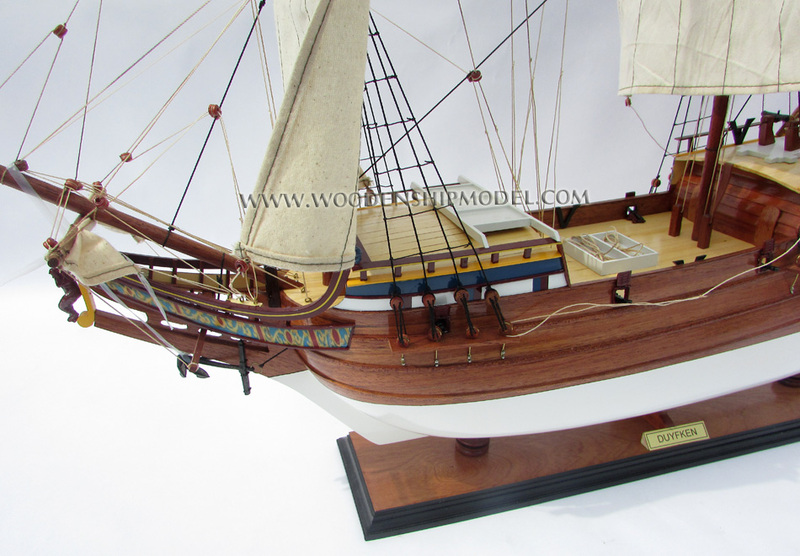 Later in the year she was sent to Java to get supplies for the beleaguered Dutch fortress on Ternate. 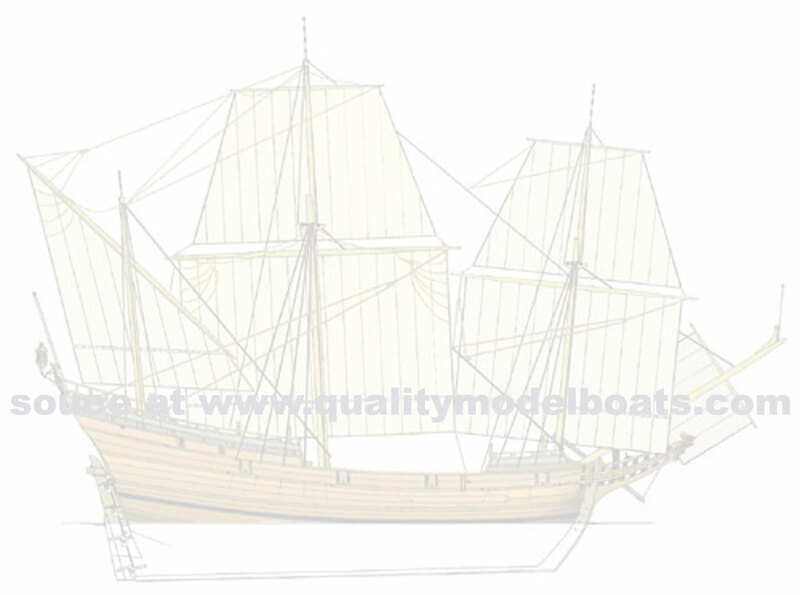 In February or March 1608 the Duyfken was involved in hunting at Chinese junks north of Ternate. 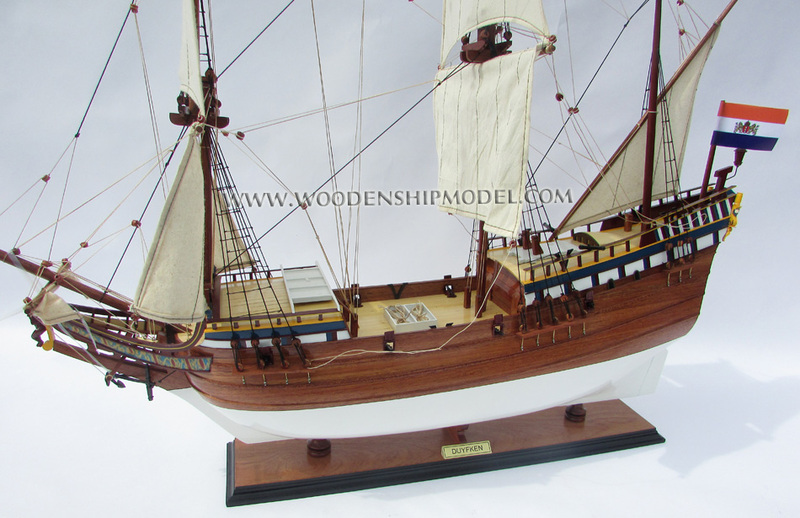 In May 1608 the ship was engaged in a five hour battle with three Spanish galleys. In June she was sent with larger ships to capture the fortress of Taffaso on Makian Island. A month later she was brought inside the reef at Ternate for repairs. It seems that she was hauled on her side to repair the bottom but this caused further damage. 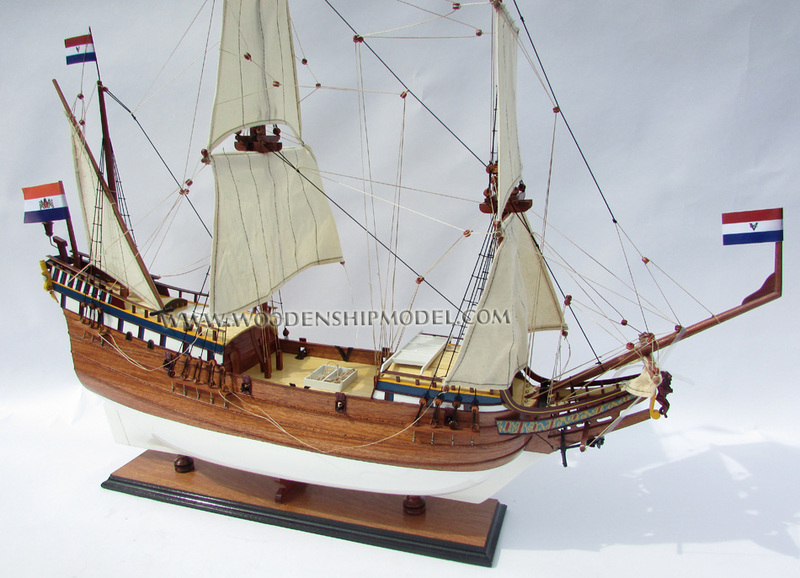 A full size replica of the Duyfken was built by the "Duyfken 1606 Replica Foundation" jointly with the Maritime Museum of Western Australia and launched on January 24, 1999 in Fremantle. After goodwill tours to Sydney, Queensland, Indonesia, Sri Lanka, Mauritius, South Africa, and finally Texel in Netherlands. While in the Netherlands, the floor of the hold was replaced by antique Dutch bricks. 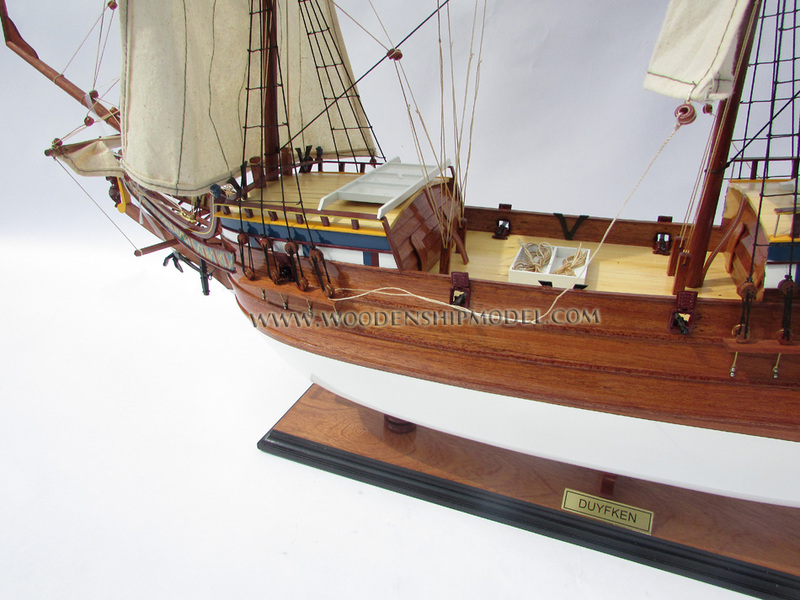 For a period in 2005, The Duyfken was berthed alongside the Old Swan Brewery on the Swan River in Perth, Western Australia. The replica was open for visits by the public. In 2006, Western Australia played a big role in the 400th anniversary of the original Duyfken�s visit to Australia and a national group has begun planning to commemorate the arrival of the Duyfken and to mark this important milestone in Australia's history by also giving recognition to all who followed her and contributed to the mapping of the Australian coast. The Duyfken is currently berthed at the Queensland Maritime Museum in the Brisbane River.